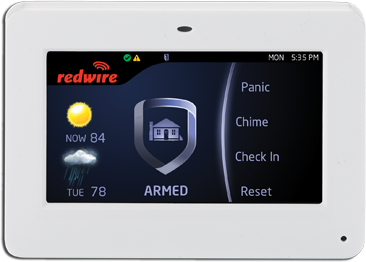 Redwire ViVID business alarm systems are best in class, integrated security solutions that address potential threats to your assets and provide the tools to manage your business anytime from anywhere. This is all backed by our monitoring center professionals that are on alert 24 hours a day, 7 days a week, 365 days a year. 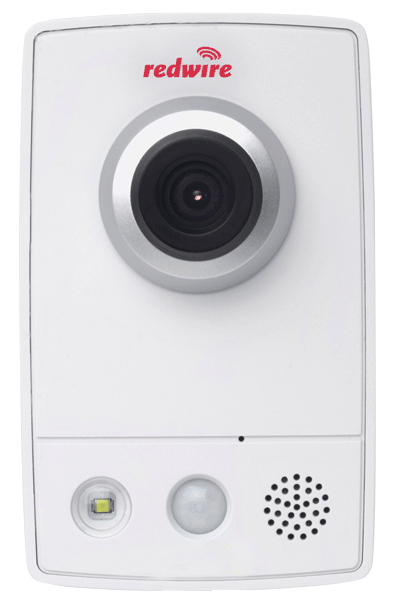 ViVID verified business alarm systems give Redwire the ability to view real time video and verify your alarm or continue to monitor the system if the alarm is false. If the threat is real, our monitoring center is able to dispatch the police immediately leading to a faster police response and a much lower rate of property loss for you. When you are away from the office, ViVID provides you the ability to manage your business from any secure internet connection, tablet or smart phone. With the ability to view video, receive status messages, even arm and disarm your system, you are always connected to what is important to you. 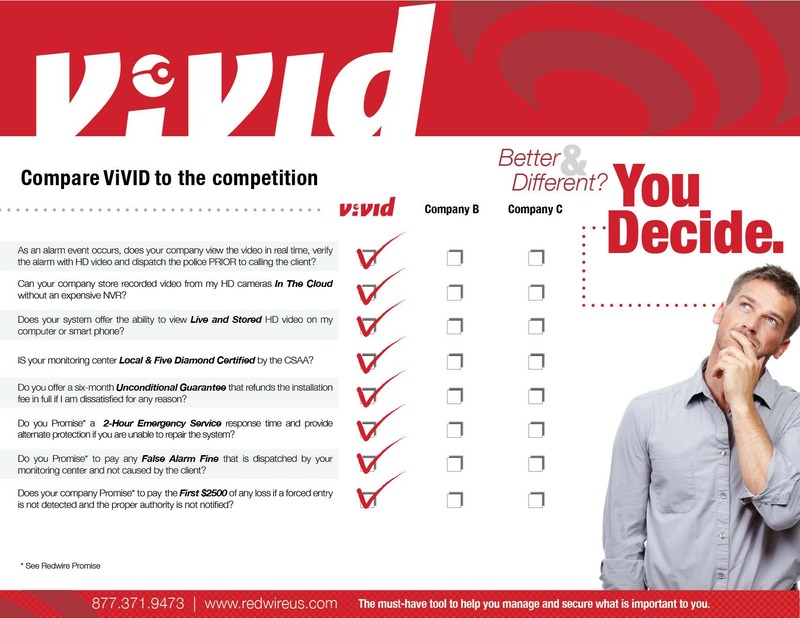 We believe in ViVID so much, that we invite you to compare us to the competition. Eliminates unnecessary call delays required by non-verified alarms resulting in faster dispatch & response. Ability to review and evaluate stored video of critical events.